Ack! These are adorable! 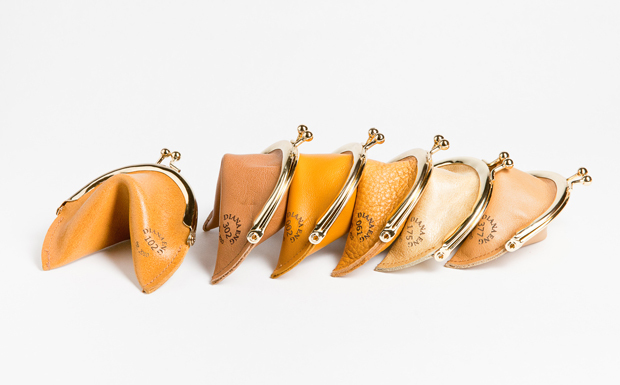 Each one is made from remanant leather. Buy them from Diana Eng for $65. Sixty five is a bit much for a coin purse. You could certainly DIY it. Here's instructions for a simple coin purse via Annekata. And here's a fortune cookie pattern via Coconut Lane on Deviant Art. Wouldn't these make cute dinner party favors? Serve them at end with a fortune inside. These are so adorable and unique! Love the beige tones too. They'll match any purse or bag.